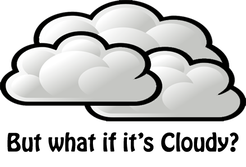 ,NOTE: Cloudy Weather Insurance is NOT Available for Large Private Telescope Tours (only for Small Private Tours). Due to the logistical costs of accommodating large private tours, they are only offered 79% refunds for cloudy nights. Plan for a 2nd or 3rd alternate night! Many tell us they plan their entire vacations around stargazing with us the Dark Rangers. So if what we offer is also that important to you, book lodging for more than one night in the Bryce Canyon region, AND book your alternate night tickets for $2 each that we call "Cloudy Weather Insurance." Insurance is nonrefundable. Sorry, $2 barely covers booking and credit card fees, to say nothing of managing 2 guest lists every night. Additional Benefit: If in the rare event clouds prevent the use of telescopes on both your intended night and 1 or more alternate nights, you will get a 100% refund. In this way, the $2 per ticket cost provides you with insurance against cloudy weather. Guests who do not purchase alternate night ticket(s) are ONLY entitled to a 79% refund when the sky is more than 70% cloudy on their intended night. 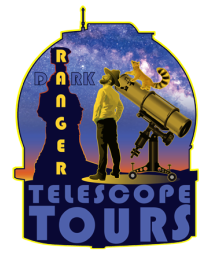 NOTE this $2 per person ticket is only valid with the purchase of an equal number of telescope tour tickets (4 ticket minimum) for a primary (your intended) telescope tour night. Purchasing alternate tickets does NOT guarantee successful stargazing, it just increase your chances of success. It's possible your primary intended night and your 1 or more alternate nights, might all be too cloudy. Other times your alternative night might fill up with another Small Private Telescope Tour booking. However since we offer $100 refunds for Small Private Telescope Tour bookings who are willing to share their night with another group, every effort will be made to accommodate BEFORE alternate night tickets will be cancelled. Please pay attention to your email so that you will realize if and when your alternate night has been cancelled thus alerting you well enough in advance that you can exercise the option of re-booking another alternate night -- assuming your vacation schedule allows.